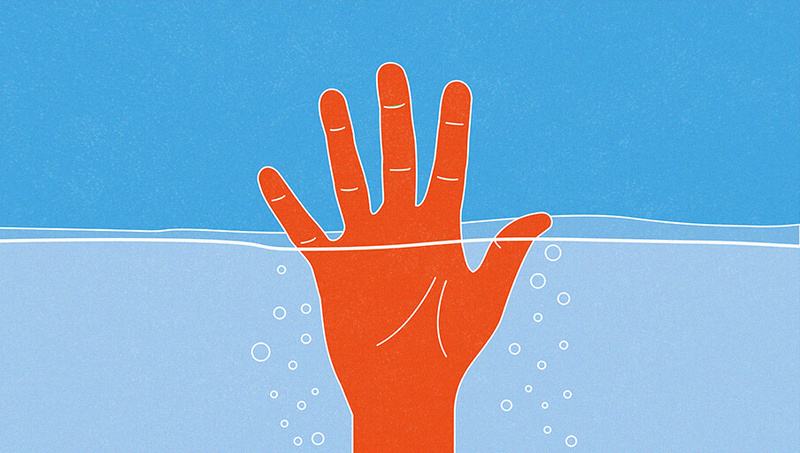 Can Damaged Brands Restore Trust? The issue of trust is more important now than at any other time in the world of business. The recent Volkswagen emissions scandal brought it firmly back into the fore, with executives scrambling to explain how the company nosedived quietly into a corporate scandal. But the VW situation is the latest in a long line of recent corporate crises which challenge the very notion of trust among a company’s stakeholders. The owners of Alton Towers are still facing up to to issues of trust following the terrible accident on one of the theme park’s main attraction rides. Both are huge companies, but the issues can also affect SMEs too. Reputation may be everything, but build trust into that and it is a powerful position. Take it away and your brand faces becoming a thing of the past. Trust is not to be taken for granted. It must be worked at. Regaining lost trust is even more difficult than building it in the first place. But it is possible to restore it. So with recent crises in mind, here are six steps to restoring trust in your company and brand from a PR perspective. Imagine trust draining from your company like sand in an egg timer. You can plug the flow but you need to do it quickly and effectively. It’s no good sitting on your hands thinking for too long about what to do. Silence can speak volumes. Long silences can kill companies. It can smack of a cover-up, of a dereliction of duty. You and your crisis team need to act sharp….you didn’t establish a crisis team? In that case, you need to form one now!! But in a nutshell, you should have by now formed a small, agile crisis team which has the executive authority to make the big decisions. The CEO should be involved. This will enable you to act quickly and stop the sands of trust running out forever. It sounds simple, but the crisis team needs to have everything at its disposal to get the facts. Facts are vital in a crisis. You need to know more than your customers, and certainly more than the media who want to reveal all to your customers before you do. You need to find out what went wrong, why it went wrong and who was involved. Sometimes it will be more obvious – it could be the actions of a sole director who has plunged your company into crisis. It could be a single product which needs recall. But the rules are the same – find out all you can as quickly as you can. Please make sure the investigation (it’s a harsh word but that’s exactly what it is) is not just paying lip-service to criticism. That will prolong the pain. Come clean. Cough. Admit it. Hold your hands up. However you term it, the retrieval of trust is only a possibility once you have got point 2 of this article done and dusted and then can tell everyone what went wrong. This isn’t cops and robbers. There is no right to remain silent. Even if you only have some of the facts, telling people that something has gone wrong and you are looking further into it is a huge leap from saying nothing. This is ultimately where the CEO needs to be front and centre. The company’s moral compass is directed by he or she. This is a perfect time to re-establish what the company’s beliefs and morals are, and to remind those who you value but have turned into critics rather than advocates, about what you really stand for. Communicating this can be done in various ways but the media is obviously the prime focus. Special attention should be given to Social Media – the message needs to go out through the usual channels but you do not want to be dragged into a greater battering on any of these forums. But it’s not all about external media. Direct communication with your main stakeholders should also not be overlooked. Letters/emails/texts/ should be sent the customers, suppliers and other business partners preferably before it hits the press. Finding out the facts (see point 2) is obviously vital to this. In the communication, it is vital to map out the plan. How are you going to fix this? This is vitally important, particularly with pure consumer issues. Your business may not be overtly B to C. You will still have customers who will want to see you acting in the right way. In this situation, the media becomes the window to your performance. Use it but use it well. Your messaging around the remedy is of vital importance. So is tone. It must be direct, respectful but also have authority. No one wants to see a weakness at this stage. If you are doing this via media interviews, then media training is of huge importance. It is the most basic of principles. It hardly even seems like advice to tell someone to do this. But trust is most damaged when company bosses refuse to say sorry. The job really needs to go to the CEO. But until those words are spoken, trust can never be restored. This is true internationally, but even more so in the UK. We are the global masters at saying sorry for no reason. In times of crisis, where a company has got it wrong, it is absolutely expected. It is very difficult for the media to keep attacking someone who has said sorry. Again, getting the delivery of the word ‘sorry’ is vitally important. The tool to get this right may again be crisis media training. The important point to remember is it is absolutely about saying the s-word. There are many ways a company can appear to be saying it without actually saying it. “We regret” is a commonly used ‘get-out’ phrase offered up by advisors, both legal and PR, often for different reasons. One common reason is that the blinkers are still on and the company doesn’t feel it has to say sorry, or is too proud to do so. Feeling regret isn’t the same as being sorry. Not saying sorry at the very first opportunity to do so is a dangerous path to tread. The problem won’t fix itself. You’ll need to put in a shift to get the trust back and then try to build from there.